We are excited to be part of ZIZOO team worldwide. Our location is in Western Greece (known as LEPANTO or Nafpaktos). 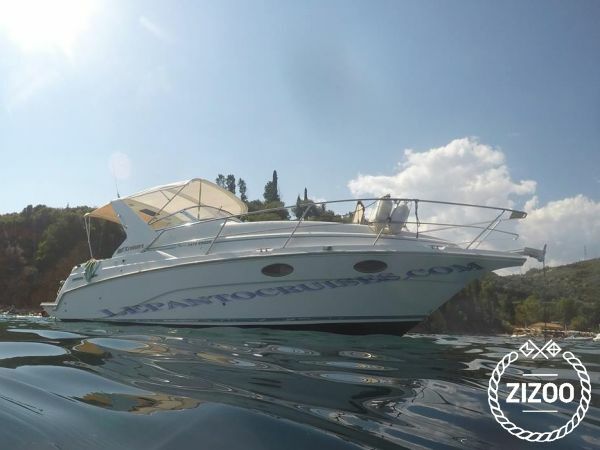 We can show you LEPANTO CASTLE by sea, Korinthiakos gulf with many seaside villages, Trizonia island as well as the amazing Ionian Islands and more. Our boat is a Cruisers 2670 Rogue with 2 X 150Hp Diesel engines. It can accommodate 8 people (with the captain) for daily cruises and 4 people for overnights. It provides one bathroom with shower (separate room), one double bed cabin as well as room to sleep two more. Also it has TV, Kitchen, Refrigerator, shower and more. You only have to decide your booking dates, leave the rest to us!